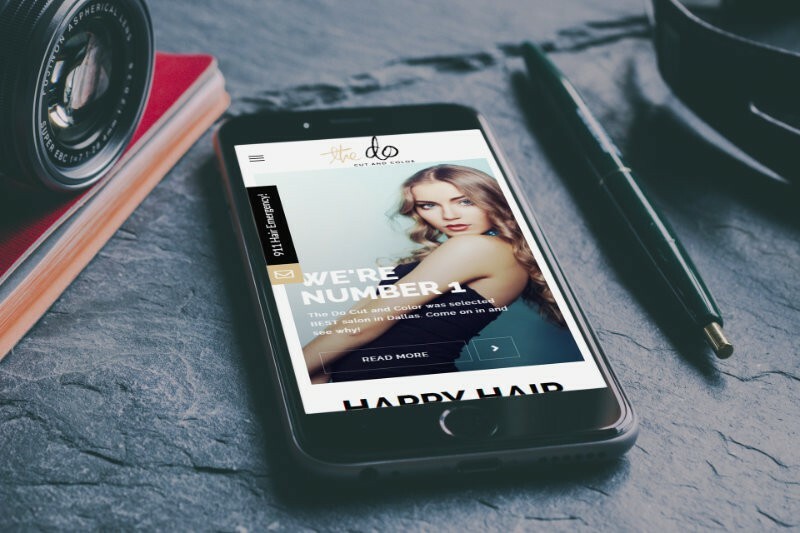 The Do Cut & Color is a high-end beauty salon based in Dallas, TX. As such, they needed a high-end website to match their branding. Betty was in dire need of a new website. Her previous freelance designer had “fallen off the planet” and her WordPress website’s theme, plugins and framework hadn’t been updated in years. The maintenance neglect caused major code conflicts and security vulnerabilities which resulted in her website going completely blank. We were able to salvage some of her old site’s original media, content, and post comments, and we put together a brand new, minimalist design for her based off of her ideas and examples. We went for a minimal, modern approach with Betty’s new website. The use of blank space, on a white background, with elements of black and her brand color, beige, made for a beautiful, monotone, on-trent look and style. 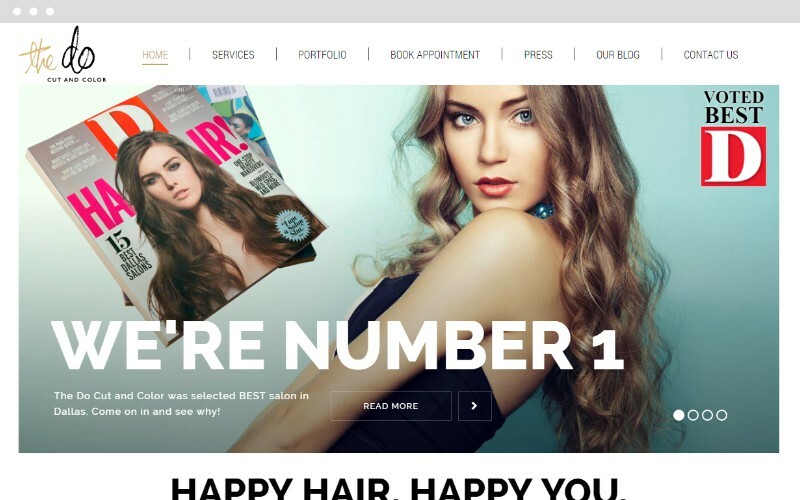 The layout was based on the concept of simple desktop and mobile navigation best practices. Because the pages themselves had so little color, our designers made it a point to infuse colorful, HD images to help support the high-end look while simultaneously telling the store of the brand.